After you park your car, you shut it off, and go to pull the key out, but it doesn’t want to release. Is your key stuck in ignition? This frustrating problem has plagued many drivers and caused hours of turning, twisting and pulling to remove the key from the ignition. The initial thing you will want to know is why did this happen? When key gets stuck in the ignition, it can be traced back to a few common reasons. The most common issues with a key is an ignition lock cylinder failure or problems with the components related to the locking system. It is a perfect idea that if you experience a stuck key that once you get it removed to have a technician find the exact cause. It will ultimately stop it from happening again. It is especially true if the problems are with the locking cylinder or a component’s failure. So if you are in this situation, just take a breath and relax. There are some tips and tricks to get your keys out of the ignition and back on your hand. Here are three straightforward and quick fixes to unstick your key. Just as the title suggests, a gentle wiggle and jiggle of back and forth movements while the key is turned in the off position. Before you start this method, always make sure that your car is in the park. 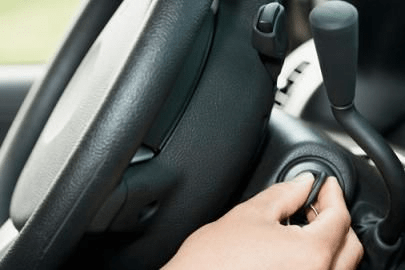 Most automatic cars won’t allow you to take out the key if the vehicle is in any gear other than park. When metal gets warm, it will expand. It can cause your key to get stuck, so cooling it down might contract the key metal enough to be able to separate it from the lock cylinder. This method for removal will require some ice and a towel. Apply the ice to the head of the key and wrap a cloth around it to prevent water dripping. You’ll want to hold it on there for a few minutes then gently try to pull the key out. If it doesn’t just come out, after a few moments, with the ice still on, you use the wiggle method. This method is perhaps the messiest of the methods, but it has some of the best results. Using a can of Wd-40, you will spray it directly into the lock. You will have the best results if you have the red tube attachment for a more direct spray. After you spray, let it stay for a minute, then use method 1 for removal. Try not to get frustrated when you can’t get your key out; it is fixable. Hopefully, these methods will be useful if you find that you can’t get your key unstuck. If you keep having this problem, it is best to take it into an automotive repair shop for redress. Is My Starter Failing? Ryan G. Motorworks Offering Roseville BMW Service To You! How To Clarify Which You Have: A Starter or Battery Problem? Next PostNext What Does an Illuminated Engine Light on the Dash Mean?